Reader’s Choice Poll: The Best Smartphone Of 2016 Is? As the end of 2016 draws near and 2017 looms on the horizon, thoughts are beginning to turn to appreciating what the past 12 months have given us and unfortunately also what they have taken away. In the world of technology alone, 2016 has been a huge year for many of the biggest names in the industry, and when you further narrow the thinking down to just smartphones released this year, then it’s clear that it has been both kind and cruel to the household names which dominate the market. Smartphones have penetrated the lives of so many people at this point, and with some huge releases throughout 2016, we find ourselves wondering which of those smartphones we’d call the best, but then we wondered which would be yours. When it comes to choosing the best smartphone of the year, there are so many things to consider. Is the most expensive, most feature-rich smartphone automatically the best or should attentions instead turn to mid-range handsets which offer excellence in many ways, but on a budget? With dedicated cameras almost defunct for some people as mobile photography becomes potent and convenient, is a phone’s ability to snap a great shot the most important factor when judging which smartphone to grab? With the decision clearly so difficult, and at times even confusing given the range of comparison, opinions and tests lurking on the Internet in bucket loads, making the right choice is perhaps far too important for just one person or even a small group. With that in mind, we’ve taken an option available to us. We think the only sensible way to come to a verdict on the best smartphone of 2016, is to ask you, yes all of you. Is the iPhone 7/7 Plus the overall best the industry had to offer during the year, or was the less expensive but premium-looking OnePlus 3T, or even the Samsung’s Galaxy S7 and Google’s Pixel range offered a better overall smartphone to consumers? I, personally, cannot decide, but I’m hoping that you can. 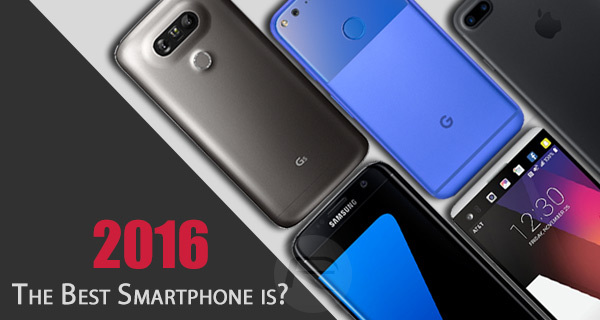 So, which one according to you was the best smartphone of 2016? Cast your vote and let the world know! Your favorite smartphone from 2016 not listed in the poll above? Drop the name of that smartphone in the comments below! LoL I couldn’t help but laugh when I saw the results. I don’t care what anyone else thinks, the Note 7 is da bomb!!! They got to pay their bills. iPhone 7 (Plus) way out ahead of the pack. I’m not surprised. It’s just a better smartphone. +1. The best exploding phone is the Samsung edge 7. Edge 7 just exploded and injured a user in Israel. Yeah, I’m thinking it reflects on sales more than best smartphone. I could not begin to say how a smartphone I don’t own compares to mine.